PGA Blvd to Singer Island (Ocean Avenue) go to Tiara Building on left (3000 N Ocean Dr ) Tell guard you are there for Janice Grey unit PHF. 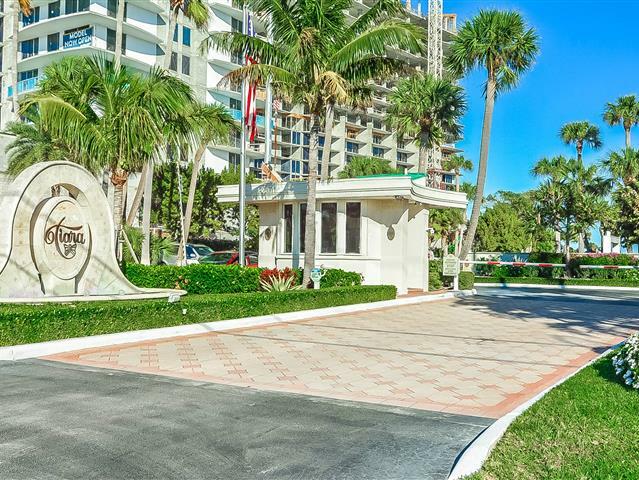 Public Remarks: Sunrise and sunset panoramic water views and city view to the southeast and southwest from this once in a lifetime opportunity to own a penthouse home in the sought after Tiara building on Singer Island. This is the most desirable floorplan which features 2 bedrooms, 2 bathrooms and a greatroom floorplan with an east facing balcony and a west facing balcony. The unit has been completely remodeled in neutral tones throughout. Mrs. Clean lives here and has meticulously maintained this unit and pride of ownership shows from the moment you enter. The Tiara features a restaurant on the top floor of the building as well as a cafe waterside in the pool area. There is also a gym, manned guarded gate and heated swimming pool and spa for year round enjoyment.